God answers prayer and is involved in the minute details of our lives. This is a wonderful movie showing how God answers prayer, orchestrated details and can move obstacles out of the way and make them work for our good in short order. He doesn't need lots of time, and all factors are under His control. If we are seeking God's will in something, we are instructed to ask and we shall receive. What a blessing this documentary is and a boost to faith in God and His interest in and control over human affairs. 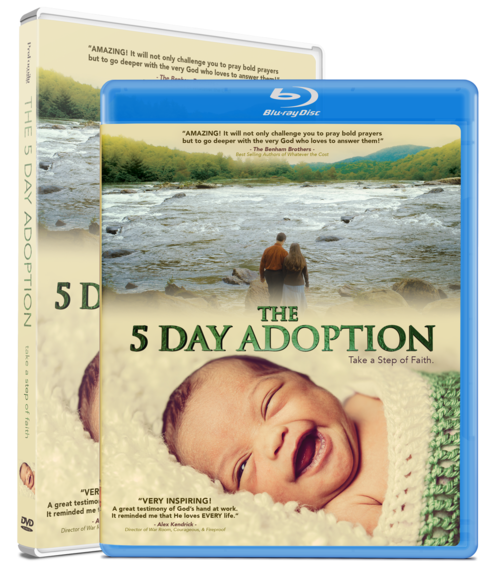 Click the button below to add the The Five Day Adoption - DVD to your wish list.